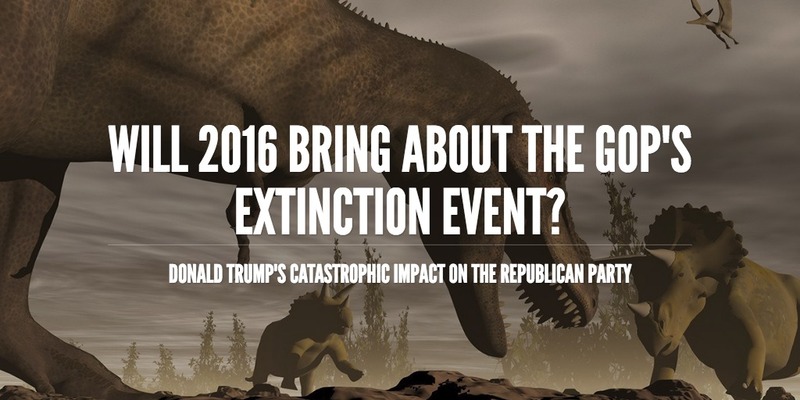 Believe me when I tell you that I feel no glee in contemplating the extinction of the Republican party. Still, given the current GOP's inability (unwillingness?) to shield itself from Donald Trump's meteor of destructive demagoguery, all the elements have been set in place for a dramatic crash and burn. Who is in bigger trouble, the Republican Party or the Democratic Party?